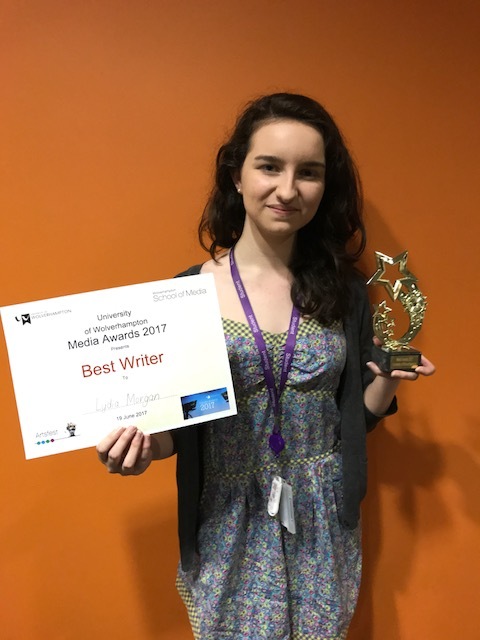 Newcastle-under-Lyme College (NULC) film students are celebrating after enjoying success at the recent University of Wolverhampton (UoW) Media Awards. 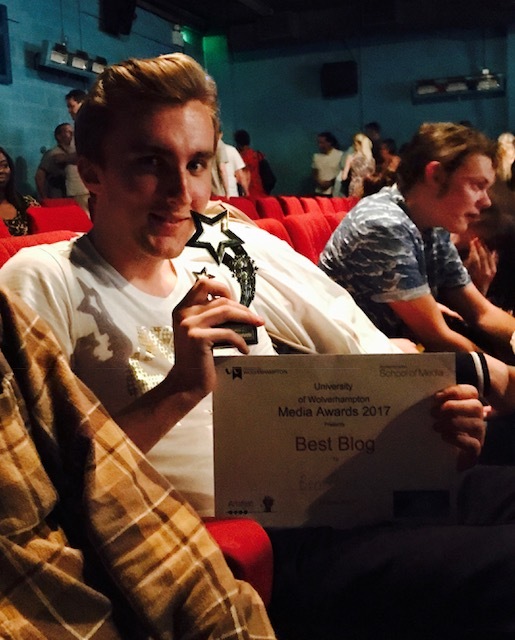 AS Film Studies student Ben Hurt won Best Blog for his blog ‘The One Who Colludes’ and A Level Film Studies student Lydia Morgan won Best Writer for her screen play entitled ‘Vitality’. Special commendation also went to A Level Film Studies student Chad Cliff for his A Level dissertation entitled ‘How are the central themes of deep existential crisis and angst communicated in central male protagonists?’ and AS Film Studies student Saul Garret for his film essay which explores the use of cinematography and mise-en-scène in the film text ‘ The Place Beyond the Pines’ in the category Best Film Essay. 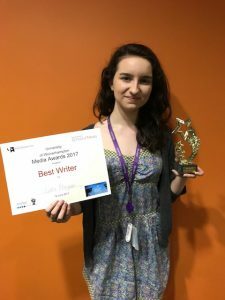 The awards ceremony, which celebrated the wealth of journalist student talent across the West Midlands, was held at the Light House Media Centre on 19 June. The winners fought off competition from over 60 vocational and degree level students across the West Midlands. Newcastle-under-Lyme College offers A Level courses in Film Studies, Media Studies, Photography, Graphics and Art. In 2016 70% of our A Level Film Studies students were awarded grades A*-B. For further information on courses visit www.nulc.ac.uk, email [email protected] or call 01782 254254. This entry was posted in Local News and tagged Newcastle-under-Lyme College on 2017-06-26T21:06:43+01:000000004330201706 by NSTV News Team.